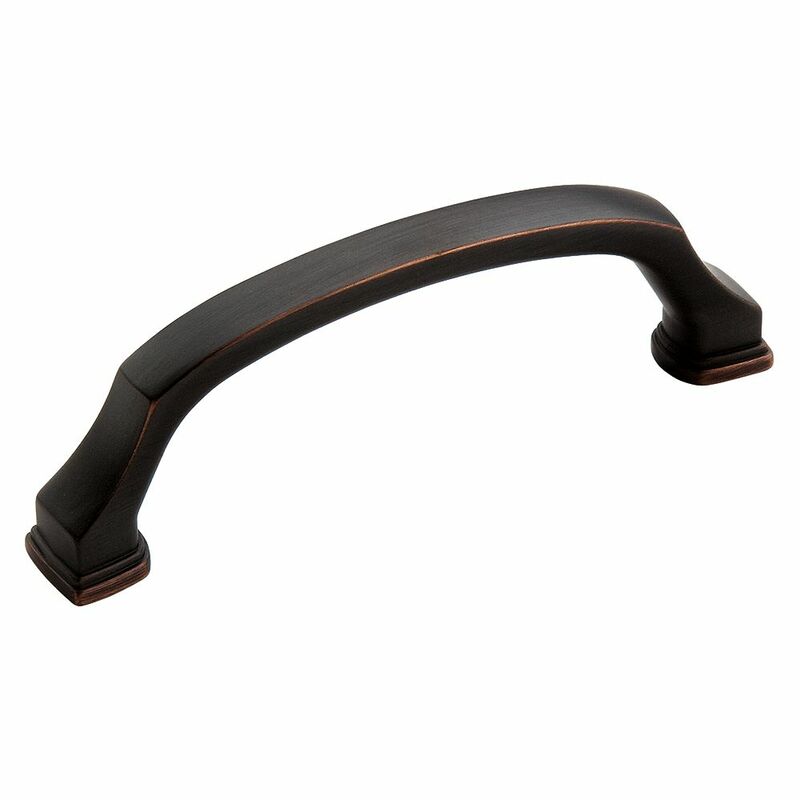 The Amerock BP55344ORB Revitalize 3-3/4in(96mm) CTC Pull is finished in Oil-Rubbed Bronze. Function and a revived spirit of renewed traditionalism meet tailored eclecticism in the Revitalize Collection. The Oil-Rubbed Bronze finish is a rich, dark brown old world finish with striking light and dark accents. Revitalize 3-3/4 Inch (96mm) CTC Pull - Oil-Rubbed Bronze The Amerock BP55344ORB Revitalize 3-3/4in(96mm) CTC Pull is finished in Oil-Rubbed Bronze. Function and a revived spirit of renewed traditionalism meet tailored eclecticism in the Revitalize Collection. The Oil-Rubbed Bronze finish is a rich, dark brown old world finish with striking light and dark accents. Revitalize 3-3/4 Inch (96mm) CTC Pull - Oil-Rubbed Bronze is rated 5.0 out of 5 by 2. Rated 5 out of 5 by lmtm from simple yet detailed A great compliment to the matching manor oval knobs that i've used on cabinet doors. The finish matches most other oil rubbed bronze finishes without being too dark. The simple curve to the handle gives it added interest. Rated 5 out of 5 by Sue618 from BEAUTIFUL This beautiful, high quality, life time warrantied pulls from Amerock will not disappoint you! They are sleek, comfortable, smooth and have a substantial feel. Fits your hand nicely and will work with many styles. Revitalize knob looks great with it - if you're mixing and matching knobs and pulls.